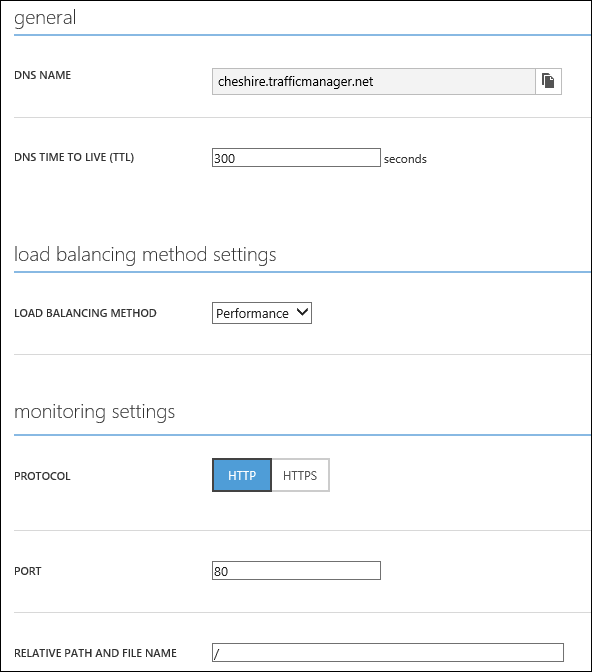 Azure Traffic Manager can now integrate with Azure Web sites! Azure Traffic Manager has been around for a while, and is a great way to manage your site across multiple regions. You can route your visitors to a region that will provide the best performance, automatically route them to a secondary region if there is a problem with the primary one or spread the user load evenly across multiple copies of your website hosted in multiple regions. Recently, Traffic Manager has become available to Azure Web sites, and in this post, I’ll walk you through configuring the two to work together. In order to use WATM with Azure Web Sites, you will need to have multiple sites, each in a different region. You can only add one website per region to WATM, so this requirement is important. Another requirement is that the sites are using the Standard service tier. Once you’ve created your WATM profile, you’ll want to add your endpoints. You can do that by clicking on the WATM profile and then clicking the Endpoints link at the top of the portal. As you can see in the screenshot below, I’ve selected Web Site as the service type and then checked each of the websites I want included in my WATM profile. It’s important to note that your endpoints can be a mix of websites and cloud services. Using this method, you can have your application seamlessly transition from Web Sites to a Web Role or vice versa. To configure your profile, click the Configure link for your WATM profile in the portal. The configuration allows you to change settings such as the DNS time to live (TTL) and the load balancing method. You can also specify the protocol, port and path that you want the WATM profile to use when monitoring your endpoint for availability. This is just the tip of the iceberg. With WATM, you can also configure custom domains and various load balancing methods. To read more about this, visit this blog post. 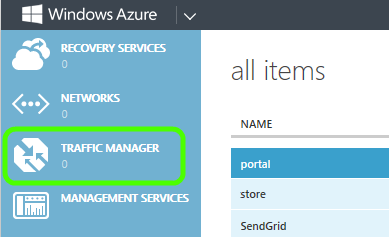 Traffic Manager is a feature that Azure Web Sites customers have been looking forward to for quite some time. I hope this post helps you to take advantage of this powerful new functionality.